“The increasing number of people receiving these unsolicited calls from individuals who fraudulently claim to represent the IRS is alarming.” – J. Russell George, Treasury inspector general for tax administration. A new IRS phone scam is sweeping the country, and has so far stolen over $1 million from thousands of Americans. In February, the IRS released their “Dirty Dozen” tax scams for 2014 list, with phone scams at the forefront. These types of scams are common, and can creep up at any time of the year. But the dirty dozen definitely forecasted what’s now known as possibly the largest scams the IRS has ever seen. Telephone tax scams usually follow the same pattern. The phone rings, and the victim answers to a supposed IRS agent or representative. They spout fake names and IRS badge numbers, then begin making demands riddled with threats. If you don’t pay up, or give them your bank account information or SSN, you’ll be arrested, or lose your business or driver’s license. When calling immigrants, as this most recent scam began, criminals often threaten their victims with deportation. With a one-two punch they’ll follow up the initial call with another by someone pretending to be with the police or DMV, further supporting their claim. Latest IRS Phone Scam : How is it different? The IRS releases warnings; these scams aren’t new. How come people still fall for them? Better yet, how has this scam been so successful when it’s common knowledge to not give any personal information over the phone to anyone? The IRS itself says that they’ll never ask for credit card, bank account, or any other private information by phone. We, at Optima Tax Relief, have actually received several calls from upset clients after being contacted and threatened by scammers. Have accomplices, also with official-looking caller IDs from the government, further threatening you. They’ll accuse the victim of tax dodging, and warn of jail time, property seizure, deportation and so on until they pay up. The preferred pay method is by prepaid debit card, as they aren’t connected to a traceable bank account. And it’s working, says TIGTA officials. Each and every day, hundreds of more contacts are being made, and more money is being stolen. Even legitimate contacts from the government can be daunting for taxpayers, and this scam is banking on that. Know that the IRS will never call you with threats and demands, or request bank or debit information over the phone. This is the most important safeguard you have against this scam, knowing that the IRS won’t contact you by phone. Real agents will contact you by mail first, especially if you actually have unpaid tax debt and are at risk of a federal tax lien. If you do owe taxes, or believe you might, and have been contacted by a phony IRS agent, call the IRS at 800-829-1040. A real agent can determine whether or not you really have a payment issue. If you’ve been targeted by this or any scam, report the incident to the TIGTA at 800-366-4484. Also contact the Federal Trade Commission and use their “FTC Complaint Assistant” at FTC.gov. Be sure to specify”IRS Telephone Scam” in your complaint. Think only celebrities and big corporations get away with outrageous tax deductions? We’ve put together a few that you could take advantage of next year, and threw in a few brazen ones for fun. 1. Put your pup to work! : Employing man’s best friend to protect your company grounds can offer some leeway with the IRS. Since the animal is considered part of the “protection” system for your place of business, some of pooch’s care costs may be written off come tax time. 2. Enlarging your deduction, taken to the next level: In 1988 a stripper wrote off her breast enlargement surgery as a business expense. At first the tax courts denied her the deduction. Immediately she appealed the decision and sure enough, her implants were considered a business expense allowing her the deduction. 3. Getting a script for cash: Does your doctor feel you need to drastically improve your health in order to stay alive? Well the IRS wants you alive and kicking in order to keep up with your tax payments. If your doctor signs off on the purchase of remedies in order to drop some weight, you may be able to write the concoctions off as an expense on next year’s tax return. 4. Stick ’em up! No one escapes the IRS when there is cash involved. Even criminals in the pen must pay tax on their bounty; ironically, they may be able to write off lawyer expenses as a tax deduction. Who are the real criminals here? 5. Smoke and mirrors: Everyone seems to be trying to live a healthier lifestyle lately. Many smokers have decided to quit, if not for health reasons then for the steep increase on cigarette taxes which have made it a doubly bad habit. Smoking cessation devices, patches, or other quit smoking aids can indeed be written off come tax time. Take advantage of this and you may see some payback for cigarette taxes you paid last year. 6. Music to your ears: Signing junior up for clarinet lessons may not be such a bad idea after all. If your child has an over-bite it is scientifically proven that playing certain wind instruments can correct the problem. Junior practicing clarinet may keep you up at night, but writing off that lesson can help you sleep like a baby during tax time. 7. Moving on up: You made it. You finally got that big promotion and are moving to the city to rake in the dough and live the high life. As many people already know, you can write off your moving expenses when relocating for a job. If you have pets, moving can become a bit more costly especially if there is a jet plane ride in pup’s future. Since this is considered a moving expense, you pet’s airfare is a write off as well. At Optima Tax Relief we can help you take advantage of some of these legal, but outrageous tax deductions. Contact us for more information on how to keep more cash in your pocket and out of the IRS’s hands. It’s been a rough few months for the IRS, between mandatory furloughs and the latest news on the IRS and gross overspending… They can’t catch a break. First, the IRS came under fire for allegedly targeting conservative groups for extra scrutiny when those groups filed for tax-exempt status. Now, the IRS is under the microscope for gross overspending on conferences. According to a congressional briefing by the Treasury Inspector General for Tax Administration (TIGTA), the IRS spent over $50 million at 225 conferences between 2010 and 2012. What exactly did the IRS get for that $50 million, you might ask? That’s a good question. $17,000 went to a speaker who conducted a workshop on “Leadership through Art” in which the speaker drew pictures of Bono and Einstein in order to encourage IRS employees to adopt an outside-the-box approach to problem solving. Another speaker was paid $27,500 for two speeches about how “random combinations of ideas can lead to radical innovations.” At a 2010 conference 132 IRS employees stayed in hotel presidential suites—rooms that can run between $1500 and $3500 a night. In 2010, the agency held a conference in Philadelphia that cost $2.9 million, one in San Diego that cost $1.2 million and another in Atlanta that also cost $1.2 million. Other expensive included producing motivational videos such as a Star Trek parody and a video of government employees learning the Cupid Shuffle. Though recent events will put the IRS under additional scrutiny, the IRS will continue to fulfill its most important job: enforcing United State tax laws and collecting federal taxes. Though the IRS’s overspending is good fodder for the late night comics, if you owe the IRS money the bad publicity doesn’t mean that you can take your tax debt any less seriously. Actually, facts show that the IRS is getting more efficient and more effective at processing collections. In 2012 the IRS audited 1.5 million individual returns—about 1% of all individual returns filed. Of that 1% audited, 75% of returns received a letter stating that there was an error on their return. Overall, the IRS spent about 48 cents for every $100 they collected. Those are pretty impressive numbers—impressive enough to give you pause if you’re the person on the other end of the collection letter. Despite the bad press, the IRS isn’t getting lazier or more forgiving. 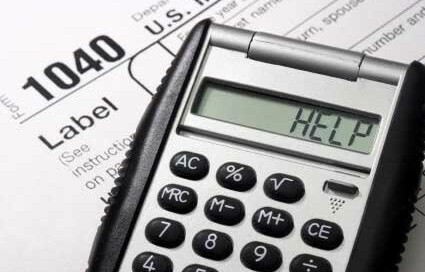 Reconciling tax debt can be intimidating, but our tax-relief experts can help. Contact us today for a free consultation. When looking for tax relief, how to find a good tax attorney is critical. Tax law is complicated and highly technical. In the legal world, the field of tax law is considered one of the more demanding specialties. Tax law covers a wide range of situations and the rules and laws are continually changing. Not only does a tax lawyer need to have superlative legal skills to succeed, they also need certain personality traits. What makes a good tax lawyer? Consider these academic and professional guidelines for tax attorneys when looking for tax relief. A good tax attorney has specific experience in the field of taxation. For example, are your tax issues related to a real estate transaction? Or are you running a business and need assistance with a sales tax challenge? Or with filing your income tax? A good tax lawyer will concentrate within certain fields and will be familiar with the laws and the protocols needed to address those particular areas of tax relief. Being associated with an office that is exclusively focused on tax related matters is another important quality for a tax attorney. Having an LLM (Masters Legal Degree in Law) in taxation is a sign that your attorney is serious about his profession and is academically qualified to work within the field of tax law. A good tax lawyer has first hand experience working with the IRS. Successful tax attorneys are continually refreshing their knowledge and keeping up with the continually changing nature of tax law. Tax lawyers should be in good standing with the Better Business Bureau and their local state bar. Good tax attorneys keep their clients informed and up-to-date during the tax relief process. Tax attorneys also need to have certain personal skills and abilities to succeed in the area of tax relief. A good tax lawyer has high level oral communication skills. They are the intermediary between you and the tax authorities. They need to be able to explain complicated issues and represent your case in a clear manner. Above average written communication skills are another important qualification of a good tax attorney. Tax lawyers write complaints, documents and lawsuit responses. Critical thinking skills are necessary when your attorney is working on a tax relief case. A good tax lawyer can take a look at a case, pick up on any weaknesses, and choose which course of action to take based on the specifics of the case. Having an analytical and organized personality is highly important for a tax attorney. Tax relief cases are usually very complicated and involve numbers and specific, detailed information. A good tax attorney will be able to stay on top of all of the elements of the case. Good interpersonal skills are critical for a tax attorney to work effectively with a client in a tax relief case. They need to be able to communicate effectively with both the client and with the tax authorities. Having a committed and persevering personality are necessary qualities for the person who will be representing your tax relief case. Taxes are complicated and the laws are constantly changing. Your financial future is often at stake in a legal situation involving taxes. Getting appropriate representation for tax relief is very important and knowing what makes a good tax lawyer is a very important first step in getting a resolution. Need some tax relief? Solutions start here. Contact us and let’s get started. The post Get Credit for Making Your Home Energy-Efficient appeared first on SuperMoney!. 2. Self-employed individuals file a Schedule C, Profit or Loss from Business, or Schedule C-EZ, Net Profit from Business, with their Form 1040. 3. If you are self-employed, you generally have to pay self-employment tax as well as income tax. Self-employment tax includes Social Security and Medicare taxes. You figure this tax using Schedule SE, Self-Employment Tax. 4. If you are self-employed you may have to make estimated tax payments. People typically make estimated tax payments to pay taxes on income that is not subject to withholding. If you do not make estimated tax payments, you may have to pay a penalty when you file your income tax return. The underpayment of estimated tax penalty applies if you do not pay enough taxes during the year. 5. When you file your tax return, you can deduct some business expenses for the costs you paid to run your trade or business. You can deduct most business expenses in full, but some costs must be ’capitalized.’ This means you can deduct a portion of the expense each year over a period of years. 6. You may deduct only the costs that are both ordinary and necessary. An ordinary expense is one that is common and accepted in your industry. A necessary expense is one that is helpful and appropriate for your trade or business. The post Top Six Tax Tips for the Self-Employed appeared first on SuperMoney!. 2. You must file Form 1040 and itemize your deductions on Schedule A. If your total deduction for all non-cash contributions for the year is more than $500, you must also file Form 8283, Non-cash Charitable Contributions, with your tax return. For more information on charitable contributions, see Publication 526, Charitable Contributions. For information about non-cash contributions, see Publication 561, Determining the Value of Donated Property. Forms and publications are available at IRS.gov or by calling 800-TAX-FORM (800-829-3676). The post Nine Tips on Deducting Charitable Contributions appeared first on SuperMoney!. 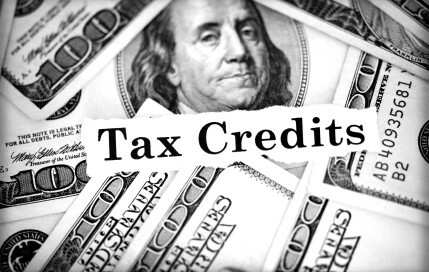 Find out more details about these credits and other college tax benefits in Publication 970, Tax Benefits for Education. You can get the booklet at IRS.gov or by calling 800-TAX-FORM (800-829-3676). The post Two Education Credits Help Pay Higher Education Costs appeared first on SuperMoney!.